When I read about Angie, I was taken by her determination to become a published writer no matter how long it took. She began this first book ten years ago. 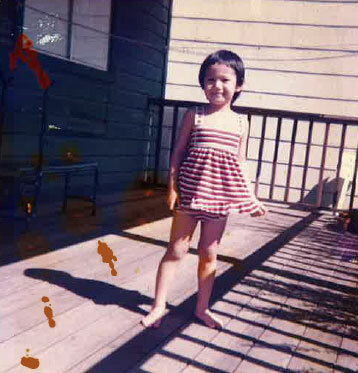 WOMEN’S EYE: You left Vietnam with your parents at age 3 on a long trip to San Francisco. You write about Vietnamese immigrant families who find themselves dealing with two different worlds. Do you identify with this conflict? ANGIE: Yes, I do. For me, the struggle has been about wanting to honor my history because I see the richness in the culture and the value in it. While at the same time and as a young person, I wanted to be open to this new country and everything there was to learn here. It’s Darwinism too right? EYE: Your family escaped by boat from Vietnam. Do you remember leaving or do you know of it from what your parents have told you? ANGIE: It’s a good question and an interesting question. I don’t remember the voyage at sea all that vividly. But I do remember being hungry when we were on the boat. I have the physical memory of my mouth salivating when I smelled soy sauce on the white rice and waiting my turn for my portion. I also have memories of the refugee camp in Malaysia. I remember going to the ocean and my father teaching me how to swim there. I remember almost drowning in fact because some older boys were daring each other to lay parallel to the shore when the tide came in. None of them were willing to do it and they were probably between 10-13 years old. I was only 3 and a half and a little dare devil show-off and tossed myself right down on the shoreline. Next thing you know I was spiraling out to sea. Everyone was screaming and because my dad is a good swimmer, he was able to rescue me. And finally, there is something about the sound of foghorns that makes me nostalgic. I can’t help but think this is a deposit from that journey. EYE: You began to write this first book ten years ago. How challenging is the writing process? ANGIE: It is the most challenging pursuit I’ve undertaken and the most rewarding. Perhaps because it is so challenging, the reward means that much more. I love that almost everything I see, read, taste, touch, it all somehow feeds into my writing to make it fuller. I like the integrative aspect of this career. For me it helps me to be more whole which I think is a rarity in the modern world. As a result of the industrial age, most of us have to pick one function to become experts at. I feel lucky to have found this path. I should also add the caveat that I say it’s challenging because it’s challenging to get published. The writing itself is always pleasurable. The re-writing can be tough. But I view it as one would approach a puzzle. There is something about being with my thoughts and being quiet and trying to solve this maze and craft so that things make sense while still yielding surprises- it’s a good way to spend one’s time. EYE: You rewrote one story “The Pussycats” in your new book ten times. How do you find the time to pursue your writing career when you have a full time job and how important is it to you? ANGIE: My writing career is my passion. It is a critical center of my life. Currently, I manage a 50+ hour work week with my writing life by dedicating my weekend days to writing. There was a time when I woke up at 5am to write before the workday began. I aspire to it still but it happens in stops and starts. I am halfway through my new novel on this schedule. However, I started what we now know as “Quiet As They Come” when I moved to Kauai. I moved to this gorgeous sleepy island so that I could wait tables at night and spend my days writing. There were probably a lot of ocean swims, and surfing, and hikes in the daytime too. I spent three years in Kauai working on the book.After that, I applied to graduate school with the stories from the Kauai days. At Davis, I spent two years as a full time student and writer working on what was to become the body of work as it is today. After graduation, I spent a year in Italy adding more stories to the collection. In short, I would say the bulk of this book was written before I took up my current career. EYE: You’ve said how impressed you were that Hemingway got up at 5AM to write. Can you describe your creative process? ANGIE: I wake up. I make coffee. I sit with my coffee and yogurt and I think and I write. It’s my ritual. I prefer writing first thing in the morning when my mind is freshest, when I am closest to dream state, and before the noise of daily life starts entering my thoughts. This is the actual physical writing piece of it. Of course, part of the fun of writing for me is the research part of me. I love digging into archives and reading old articles or needing to research some tidbit to make sure my details are accurate to then find I’ve stumbled into a world that I never knew anything about at all. EYE: Who is your favorite author? I think readers would like to know this. ANGIE: I can rattle off so many writers that I admire for one reason or another but it’s virtually impossible for me to name one. These are the authors who come to mind immediately this morning: Alice Munro, Flannery O’Connor, Eudora Welty, Anton Chekhov, Vladimir Nabokov, Ernest Hemingway, James Joyce, Sherman Alexie, Ray Carver, Richard Ford, Sandra Cisneros, Jhumpa Lahiri, Louise Erdrich, and Toni Morrison. EYE: There aren’t very many Vietnamese-American writers, especially women. Why do you think this is so? ANGIE: I once heard that there were less than 200 Vietnamese in all of America before the Vietnam War began. The mass exodus began after the Fall of Saigon in May 1975. All of these people who once sided with the American military were afraid they would be persecuted under the Communist regime and so they were forced to leave their homeland. I bring this up because in the grand scheme of things, Vietnamese-Americans are a new phenomenon on American soil. I think that’s why there aren’t many Vietnamese American writers to begin with. Compared to the Chinese or the Japanese who immigrated here many generations ago, we are truly newbies. Once you layer on top of that the Confucian teachings of filial piety and family honor so enmeshed in Vietnamese culture, then it really complicates the path of an artist. Rather than in American society where the individual and individualism is given primacy and validation, the family unit comes first in Vietnamese society. So if you are in a Vietnamese family, and your family sacrificed their lives to make it to America in order to give you and future generations a “better life,” it is somewhat sacrilegious to then say, you are going to do something as risky as pursue the life of an artist or writer. There is a line in the story “Silver Girl” where Viet the patriarch is quoted as having said, “Lofty ideas are a luxury of the rich.” I think this echoes the immigrant mentality. Who has time for fiction and literature when you’re hustling just to get food on the table? EYE: You picked “Quiet as They Come” as your title. Can you explain? ANGIE: In the title story, the protagonist is a former philosophy professor in Vietnam who in America now works in an entry-level role at a post office. 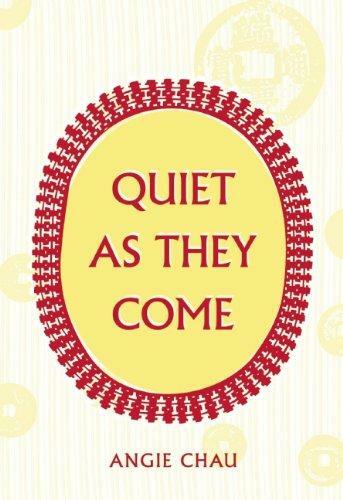 His co-workers describe his “as quiet as they come;” meaning even more quiet than the already oddly passive and quiet Asians who were arriving in droves to San Francisco in the late 70s and through the 80s. In the story however, the reader learns that Viet is capable of much more than his seemingly placid exterior would suggest. Viet reminds me of a lot of Asian men who immigrate to this country and as a result lose their status, their profession, sometimes their masculinity and identity as a result of having to start over, not having the same degrees count, not having language to communicate their thoughts, not being able to present with the same gravitas they may have enjoyed in the past. I picked this title because on the level of story and character it worked. 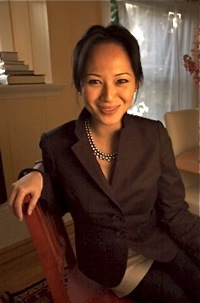 (Viet appears as a main character in two of the stories and as a minor character in at least five of the other stories). On another level however, beyond the titles gesture toward this stereotype of Asians as being passive and diminutive I also wanted to wink at the very provocative topic of immigration. It’s such a hot button in America again. And certainly our family immigrated here legally. EYE: Your writing has been described as “bitter and beautiful” at the same time. Has the experience of the Vietnamese who have immigrated been more complicated and difficult than people really understand? 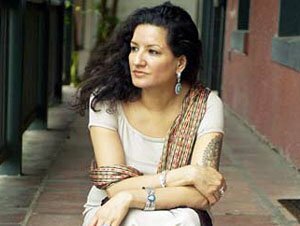 ANGIE: I think Sandra Cisneros’ quote about the book being “bitter and beautiful” speaks to the sense of longing that is threaded throughout the stories. I think it’s akin to a phantom limb. You know what it was like and even though it’s not with you physically anymore, it’s still a part of you, it’s unshakable and the pangs although intermittent are very real. For example, I left Vietnam when I was about 3-years-old. Pretty much all of my life has been spent in the Bay Area. You would think that by now I would be accustomed to the fog and the chilly winds. And yet, it’s just foreign to me. We all remember the story of “The Girl Who Spelled Freedom,” about that Cambodian girl who won the national spelling bee. But what it did was obscure the facts about the tens of thousands of other Asian immigrants who were falling through the cracks; the ones who were depressed, unemployed, dropping out of schools and into gangs because they just weren’t so good at fitting in here. EYE: You say that your mentor is author Sandra Cisneros. What has she taught you? ANGIE: Sandra has always emphasized writing as a conscious act to empower both the individual and her/his community. Writing as a nonviolent means for social change. I think I always held this kernel inside of myself but she really solidified and affirmed it. Sandra founded a not for profit writing organization called Macondo which works toward the mission I mentioned above. On top of this, she’s such a talented writer. 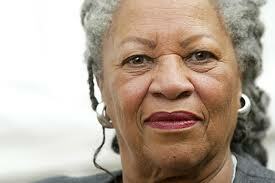 If I had to put it simply, she has taught me that each individual voice and each story matters. She has also taught me to embrace naps. EYE: I’ve read where large numbers of Viet Kieu—Vietnamese living overseas—are returning to live, invest, and work in Vietnam again. Would you ever consider this? ANGIE: I’ve read about it too and it’s wonderful to hear the success stories. I would certainly consider it. I dream about going to Vietnam to do research and write in fact. I imagine going back for extended stays from three months to six months at a time. I can see myself living in a variety of cities globally throughout my life going forward but the Bay Area will always be home base. EYE: You’ve said your next book will be a love story with two of the characters in this book. Why do you want to write this love story? ANGIE: I wanted to return to Kim and Duc from the story collection and am now half through a novel about them. In QATC, there are three full stories that revolve around the tension of their relationship. And yet even after the completion of QATC, these characters continued to nudge at me and whisper in my ear almost. I realized that their story is a bigger story and it wasn’t finished. It’s a story of love and sacrifice that in many ways embodies the uncertainty of relationships at its fullest. In the story collection, he is a POW that is imprisoned in the Central Highlands in Vietnam and she has escaped by boat and made it but now must raise two young kids on her own in America. I think that line in itself is ripe with question marks, and awe, and drama. But it got me to thinking about them at the dawn of their relationship. I wanted to explore the courtship, the class conflict because Kim comes from the upper classes and Duc doesn’t, and I wanted to dig deeper into Vietnamese society in Vietnam during the 60s and the 70s. How did American policy under Kennedy, Nixon, Johnson impact a country half the world away or at least a family? With this project, I get to go from Vietnam to America, from café society in Saigon to the tougher parts of San Francisco, and examine this relationship before the war, during the war, after the Fall of Saigon. I am enjoying the expansiveness and the breathing room of the novel. EYE: Do you have any advice for first time writers who want to be published? ANGIE: I think getting published is a combination of luck, persistence, and talent in equal parts. Remember that. My advice is to read as much as you can and read deeply, widely, and with intent. Write and keep at it, as you never want to stop growing as a human being, never stop growing as a writer. Be patient with yourself. Sometimes stories need time to marinate and in the meantime live life. God knows you spend enough time by yourself at a desk. And then when you have polished your work and it’s ready, send it out. Discouragement will abound but remember the first line of my answer—this is when the persistence piece comes in. If a girl who arrived in this country with no English can prevail, so can you. EYE: Many thanks, Angie. Looking forward to your next book!